Our long-established catalytic ozone destructors have been optimized in the ozone throughput and performance range and have been supplemented by a new system housing (size E). This now allows the existing GMP-C compliant portfolio for the Pharmaline series to be extended by three new KVME-P types. This is now better covered for the task of residual ozone gas disposal in a pharmaceutical water storage tank, through the catalytic ozone destructor an important performance and flow range. 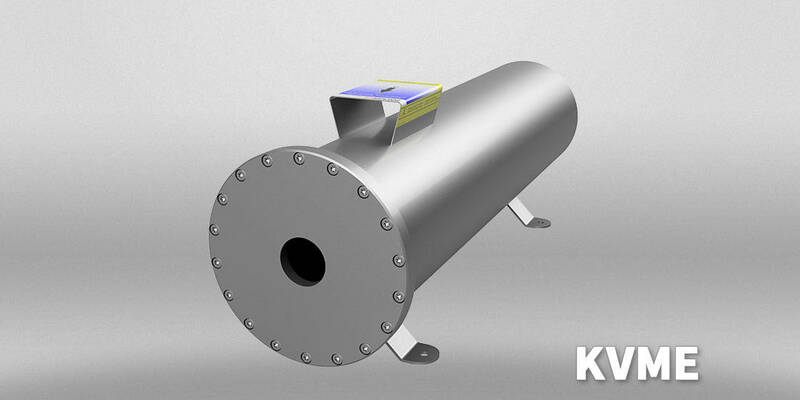 For the standard series of the catalytic ozone destructors, typical applications for this are the destruction of mostly high ozone concentrations with smaller to medium ozone gas flow rates, the new system housing size E means an expansion around the two types of ozone generator KVME 150-2 and KVME 200-2. They are thus the perfect link between KVM-T and KVM-I and offer the lowest possible gas flow resistance with high ozone destruction performance. Both Pharmaline and the standard series are the catalysts consistently made of noble metal-based materials. This ensures that no blocking or contaminating constituents such as manganese oxide (manganese oxide) can contaminate the system. All INNOVATEC// ozone destructors have the cold-starting characteristics, ie no electrical installations are required for operation. As a result, existing systems can also be retrofitted in order to meet the national statutory emission or workplace regulations. A long service life and subsequent economical and environmentally friendly regeneration are further positive features of the KVM family.